Kumkum Bhagya written update,1 September 2018. 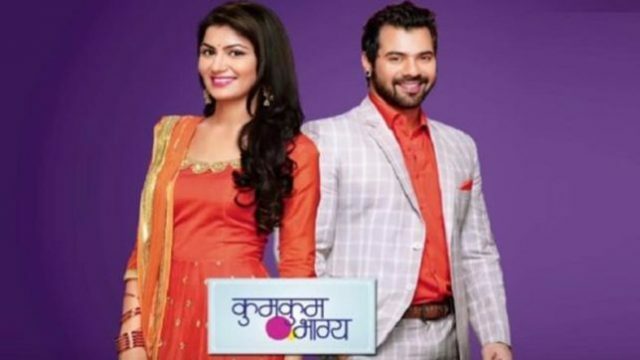 Home Entertainment TV Serials Kumkum Bhagya written update,1 September 2018. In the latest episode of Kumkum Bhagya 1 September 2018 written episode Abhi and Pragya both are unable to find out Tarun and Neha. The latest update of Kumkum Bhagya starts with Pragya and Ahi was reached to the hotel to look for Neha and Tarun. To find Tarun and Neha, Abhi went upstairs while Pragya chases him. He was very angry because of them. After went upstairs Abhi knocks at the door, asking Tarun and Neh to open the door. He also said that he will not be angry at them. Abhi wanted to open the door and he wishes to meet them. When Abhi realizes that there is no sound comes from the room, then he finally breaks the door. But he can not find anyone in the room. To saw this Abhi feel sad and get angry. He gets panic and looks all around but there is no one inside. Pragya walked in and asks him about the Tarun and Neha. To listen to this question from Prgya. Abhi gets angry then they both were staring fighting. She blames him to make the two alert. After fighting Pragya and Pragya, they both realize that this is not important to fight with each other. Tarun and Neha both were discussing how they overheard the boy’s conversations and managed to run away just in time. They both discuss very thing and plans for all problems that they were facing at the time of talk with them. Pragya saw a cloth threw out the window. To saw this she gets panic and guesses that how the two escaped. She gets furious at Abhi. Chahi tries that to provoke the King against Pragya. She tolds to King that Pragya has been dating with Abhi and meets with him whenever he is not around. King refuses to believe this. He said that he has full trusts to Pragya rather than anyone. Previous articleKulfi Kumar Bajewala 26 September 2018 written episode. Next articleKulfi Kumar Bajewala written update of 4 October 2018.